We haven’t actually stopped since the launch of MailUp 9. We have developed new integrations, (Vtiger, PieSync, Passendo) and we have focused on certain functions that are hidden but consistent. What we are presenting today is a rich, versatile release that relates to several functional areas within the platform, as well as some aspects of the graphical user interface and user experience. But let’s go over them in order. diversify notification emails, to create a real gallery of welcome messages and registration confirmation, with a choice according to the season, anniversaries and times of the year (Christmas, Valentine’s Day, New Year). 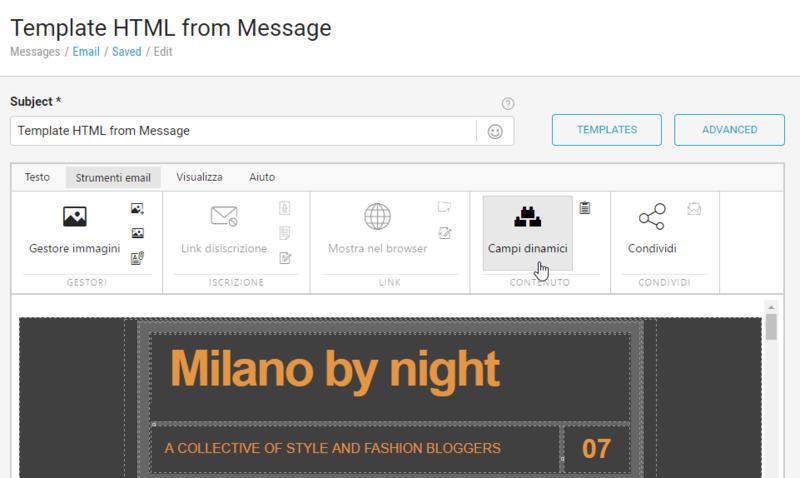 This is an important new addition that allows you to get rid of anonymous default messages and instead create a welcome message with a curated design with high impact that is perfectly aligned with your brand identity. You can do all this without having to know any HTML code. All it takes is just a few simple drag and drop operations on the BEE editor. 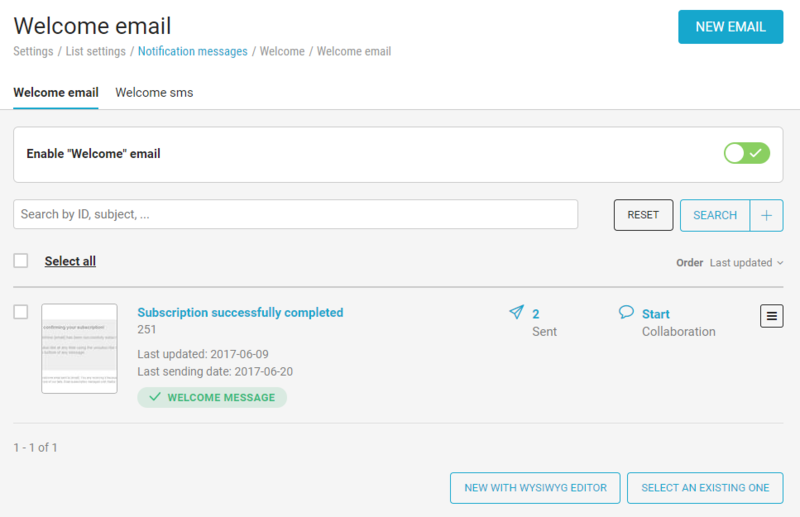 To create a new notification, just login to the platform, go to the section List settings > Notification message and select New email. 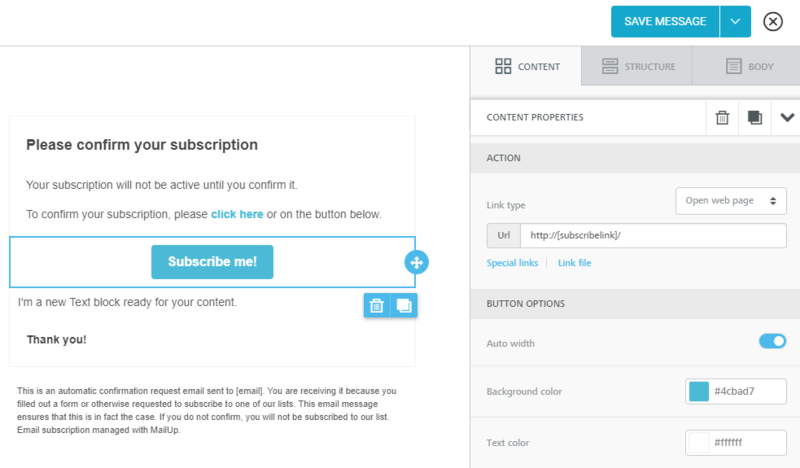 You can also choose to set a message previously created with BEE as a notification by simply clicking Select an existing one on the bottom right. Alternatively, you can select it directly from the BEE editor (as shown on the screen below), by opening the message in the Overview mode and clicking on the drop-down menu under the message preview, where you will find the item Set as a notification message. You can manage some of the properties of your new notification message on the screen that opens. The platform will also verify the existence of the subscription link, to avoid sending a notification message without a subscription confirmation request. 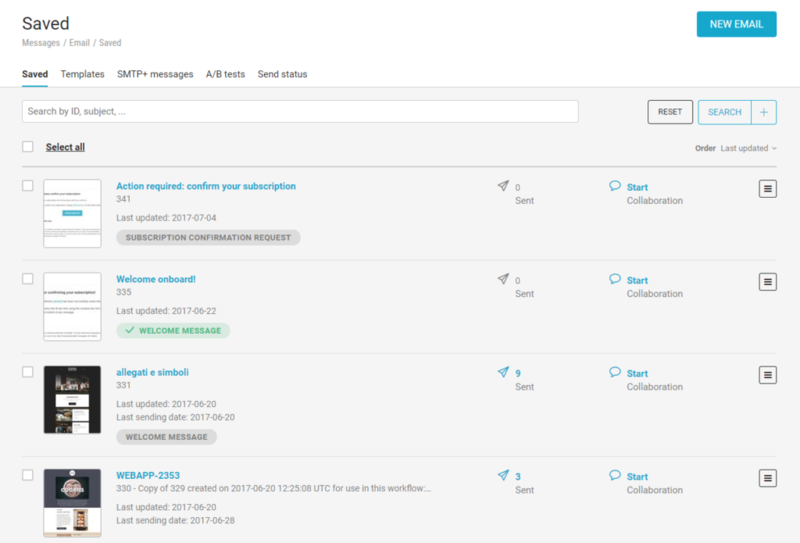 All notification messages created in MailUp enter the saved email list, and are identified by a special label (which becomes green when the message is set as the default for that type of notification). The list can also be filtered to only display notification emails. The improvements relate not only to the creation activities—for which you can now count on the same tools you use to create newsletters and promotional emails—but also tracking. As of today, you have the opportunity to consult the report statistics for each welcome email and subscription confirmation. From measurement activities to automation: the new release allows you to use notification emails such as triggering conditions for follow-up workflows and welcome series. Our goal is to provide marketers with the best tools for managing the entire cycle of email marketing activities, from creation to tracking. But there is another indispensable activity that allows you to coordinate and synchronise the different stages of your strategy: programming. We have added a section devoted entirely to editorial planning to the platform. 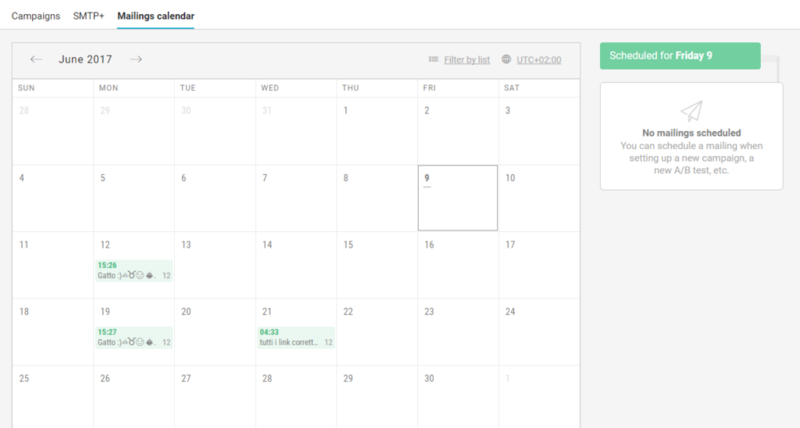 It is called the Mailings calendar, and it offers you a panoramic and organic view on all communication plan campaigns. The calendar can be used flexibly for all lists, meaning you can consider all your mailing categories as a whole, but still leaves you the ability to filter and modulate access to it, to allow or prevent visualisation of the scheduled campaigns. This is a section that complements the Scheduled Mailing (which you can find in Messages > Email > Send status), where you can view the messages that have been scheduled for sending only. By selecting a specific date, the calendar shows the list of scheduled mail-outs, while clicking on the email will display more information about the message, with the possibility of logging in to the reset and stop mail-out commands with one click. data on the individual recipient, with the possibility of filtering them by email and SMS. The new functional elements provided an opportunity to make a number of improvements on the side of user experience and user interface, i.e. the platform’s properties from the point of view of navigability and the graphical interface. 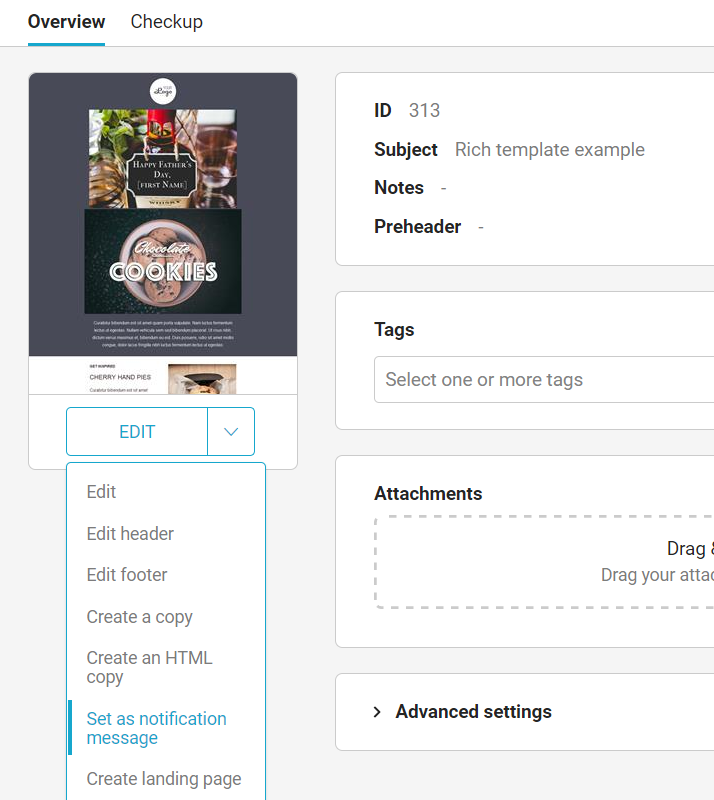 All messages created in MailUp now use the same Overview page, meaning that the creation part is separate from the part dedicated to the message settings. Prior to this release, email settings created with the HTML editor could only be changed on the message editing page. Talking about the HTML editor, we have redesigned its interface, making it clearer and more functional. The dashboard is the page that is displayed upon accessing the platform, and gives you an overview of your recent activities, thanks to information and key statistical reporting data. It is a sort of antechamber to the platform features that we wanted to refresh in the layout. In the future, we will also provide further customisation options. 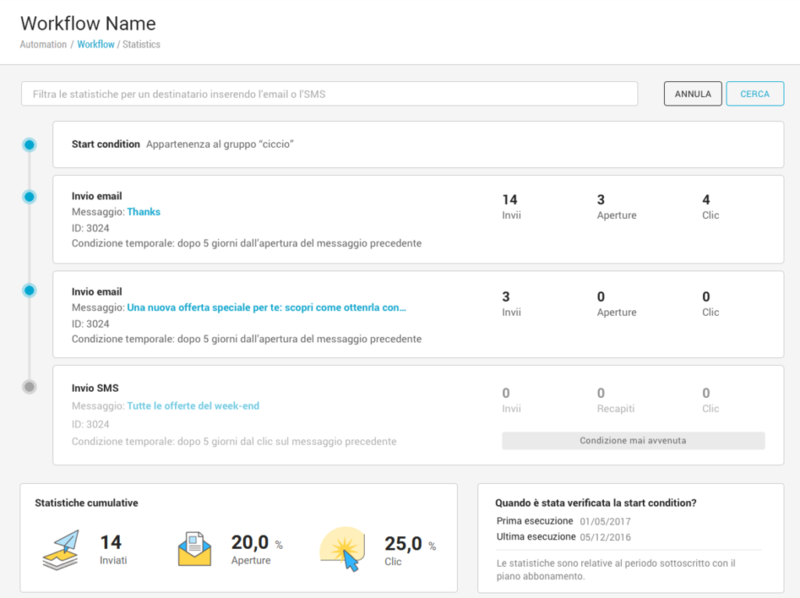 There is also a new interface for the Collaboration tool, which now provides you with clear and immediate information about the number and state of the discussions relating to each message. We have perfected the page that deals with carrying out a check-up on the emails before sending (find it in the item Checkup, once inside the message). 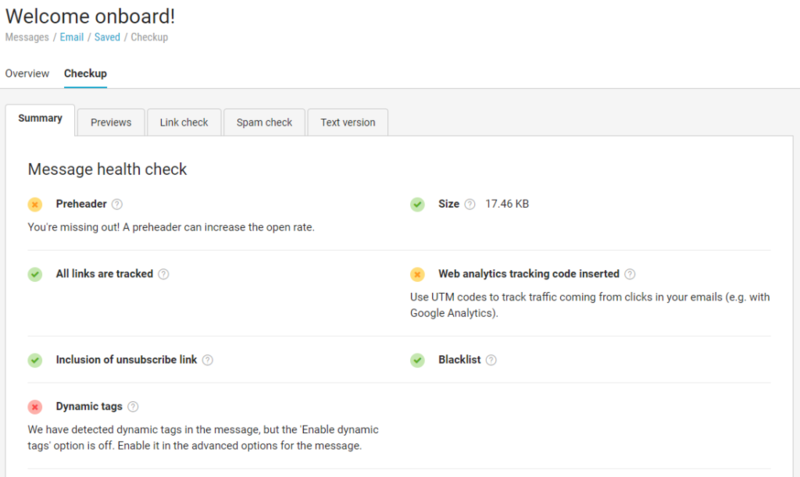 Instead of information on the message (which is always available in the Overview section), you will find new and complete answers on each checking item. Is the platform reporting a fault in the dynamic tags? With one click, you can get a detailed understanding of what it is and get specific answers on how to address the issue. That’s all. As always, we invite you to try out the new platform resources and let us know what features you would like to find in the next release. If you have not tried MailUp yet, then we would like to remind you that you can request a platform with a free 30 day trial.